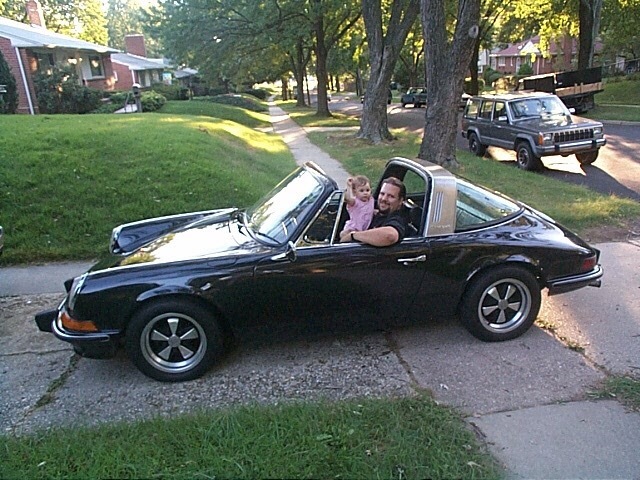 In college, I had a Porsche 914. Loved it. It really was on of my favorite cars that I have ever owned, and I have owned a lot of cars through out the years. It didn’t last. Had that classic rot on the passenger side from the battery leaking on the frame for years. You could tell the way that rear wheel kicked out to the side that it wasn’t long for the world. I bought it for $600 from someone in Bethel, NC. One day driving home from college, the engine seized blew. I pulled the engine out, but let the body go for parts to a friend. I rebuilt the engine, and purchased a VW Van shell from a buddy for $300 and got back on the road. I regreted letting that 914 go, and vowed I would get another. As a lover of 914’s, you could probably figure I would also love the 911 Targa. It is my favorite. I know they have their issues, but I always loved pulling that top off as I drove through the mountains of North Carolina. The man tells me he is the 2nd owner of the vehicle. He had purchased it in the 80’s, and had only put about 20k miles on it in the 20 years he had owned it. Only driving on sunny days in the warmer months. It looked like it to me, seemed to be in very nice shape. He did mention it had been in a little accident several years earlier and afterwards he repainted it black and replaced the older bumpers with some big rubber ones from a 73. But that his was a 1971 911T. He was retiring and moving to the beach. 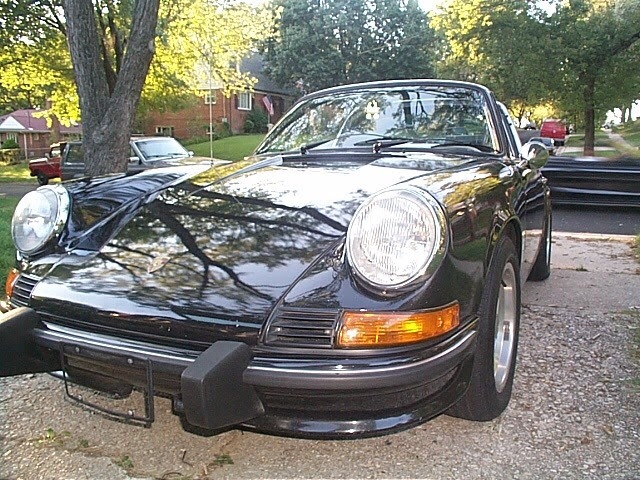 He didn’t want the 911 to rust in the ocean air and was looking for a good owner to take care of it. I like to think he looked at me with my little girl and figured I was that good owner. He said he would sell it to me for $9,000. I told him I would have to ask my wife, because, you don’t go to a fabric store and come home with a Porsche, do you? I got the mans name and number, and wandered back over to the fabric store, my wife was just coming out. I told her about it and she said, “so, did you buy it?” (she is the best!) He was still there, so I was able to show it to her before we left. I chatted with him a little more, he showed me around the car a little more, he had maintence records going back for years, everything looked nice and clean. He told me it had been sort of an ugly brown color before he painted it black. I thanked him and said I might be in touch and we headed home. On the way home, my wife again said, “why don’t you get it? Don’t you like it?” (did I mention she is the best?) So, before we even got home, I called him on the cell phone and made arrangements to meet him on the next day to buy the car. So, that was how I got my 911T. Here I am with it the day I brought it home. Do I look more like a proud father or proud Porsche owner?